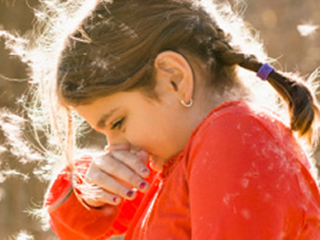 Has the sneezing started at your house? If so you, or your family members, are likely among the thousands of allergy sufferers who have to deal with the high pollen count in Maryland each spring. In fact, experts are predicting a record high pollen count this year. Trees are the first culprit, releasing pollen as they bud in early spring. Then grasses and weeds take over in late spring and early summer. Individuals who are allergic to pollen and mold spores will have symptoms ranging from headaches to watery, itchy eyes, to sneezing, to a sore throat. Spring cleaning – Make sure to clean windows, screens, air conditioning vents and other surfaces that collect dust and pollen. Take over the counter or prescription medications as directed by your doctor. You usually want to take medications at least 30 minutes prior to outdoor activities. Understand the difference between anti-histamines and decongestants and when to take each. Keep pollen out- Shut windows at home and in your car. Take off shoes at the door. Shower and wash hair before bed to remove any pollen that collected during the day. Keep pets off furniture and out of bedrooms as pollen can cling to their fur. Dry clothes in the dryer, not hanging outside. When gardening or mowing the lawn, wear a filter mask. Consider using a High Efficiency Particulate Air (HEPA) filter at home. Talk to your doctor about treatment options if your symptoms persist. Medications and allergy shots are very effective for many people once the allergen is identified.